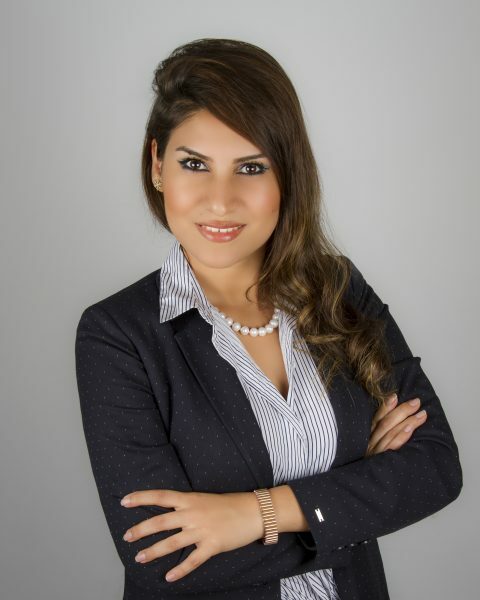 Before attending FIU, Khazraeian attended the Iran University of Science & Technology in her native country, where she obtained her bachelor’s and master’s in civil engineering. There, she discovered her calling after learning that the traffic in Tehran is so congested due to a disorganized transportation center, minimal resources and poor infrastructure. Since it was already hard to be a transportation engineer in Tehran, and even more of a challenge as a woman in Iran, Khazraeian decided she would have to move to the United States if she was truly going to advance professionally. Khazraeian came to FIU to earn her Ph.D. in transportation engineering. After graduation, she got a job as an Intelligence Transport System (ITS) analyst at Stantec, a professional services consulting design company that offers end-to-end solutions pertaining to transportation and environmental issues. At Stantec, she works on cars that can talk (send messages) to each other as well as cars that can drive themselves. 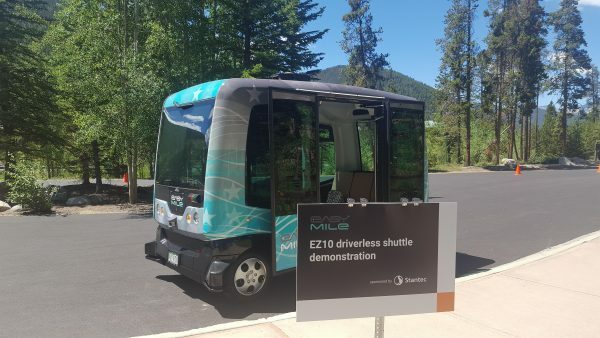 These are known as Connected Autonomous Vehicles (CAVs). “CAVs can promise a safer, more reliable and mobile transportation system because of the huge worth of data that they feed into our analysis,” Khazraeian says. Autonomous cars have different levels of autonomy. They can range from level one, which is as simple as a driver assist, all the way to a level five, which is basically a driver-less car. As of right now, Khazraeian is working on project called Dubai’s World Challenge for Self-Driving Transport. The government of Dubai hired Stantec to bring innovation to Dubai by hosting an exclusive competition to car manufacturers that will be held this October. CAV levels three, four and five, which range from the vehicle making sure the driver is taking over in case of any failure to a completely driver-less car, will be tested in this competition. Khazraeian’s role is to assist in the two phases of designing and implementing this project. The first phase consists of designing the application package with a series of questions to evaluate how mature the applicant’s technology is and if it’s compatible with the government of Dubai. Short-listed applicants will be invited to the competition. Phase two consists of designing the testing facilities. Autonomous cars and the associated software will be tested against different scenarios in a semi-controlled environment in Dubai. At the end of this competition, the winners will get a signed contract with the government of Dubai and the winners’ car, software, or program will be bought and commercialized in Dubai. Khazraeian credits Mohammed Hadi, professor from the Department of Civil and Environmental Engineering, for her success. Hadi recruited Khazraeian in 2013 to begin her doctoral studies in transportation engineering; she says she probably wouldn’t be working on these projects at Stantec right now if it were not for that. 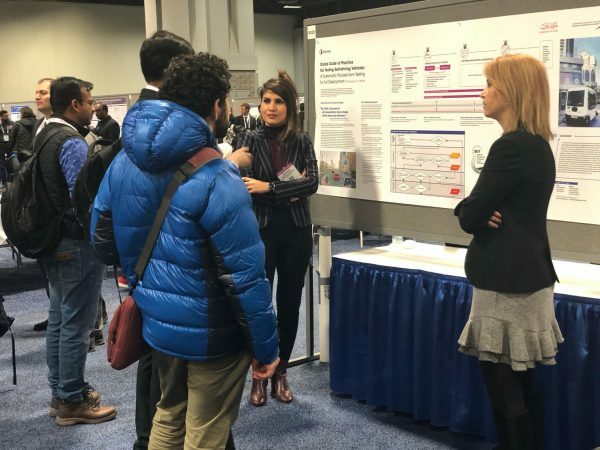 Khazraeian and Hadi both worked on three external research projects together that were funded by state and national agencies such as the National Cooperative Highway Research Program, Florida Department of Transportation and the U.S. Department of Transportation University Transportation Center. These research projects consisted of supporting traffic management center functionalities such as incident management, producing a tool that operates traffic in real-time and supporting traffic agencies in making decisions considering emerging technologies such as CAVs. As of now, Khazraeian is expanding her technical expertise. Her goal is to be in a decision-making position that will give her the opportunity to make the choices she feels fit best when it comes to society’s future transportation system. Currently, she is striving to do her very best while working with this new emerging technology of self-driving vehicles to make sure they are not only safe for public use, but that they can also benefit our society as a whole.